It seemed impossible 20 years ago, but in the last ten years, the temptation to write off Johnny Depp as a serious actor has gotten much stronger. All of the things that had once made him such a volatile and dynamic presence had sunk to the bottom of what once seemed to be a limitless bag of tricks. He seemed to be more concerned with what kind of hat or funny voice his character was going to have and working with Tim Burton only exacerbated this problem. The two have only seemed to bring out the worst in one another, and Burton’s first Depp-less films in a decade, “Frankenweenie” and “Big Eyes”, were also his best in a decade. The temptation is similarly high to overly praise Depp’s first “return to form” performance in years, but the brilliant thing about Black Mass—and Depp’s work in it—is that it transcends such easy labeling. Yes, it is Depp’s best performance in years, but not simply by default. This is an actor exploring his dangerous side and delivering a nuanced, knockout of a performance that deftly balances his character’s charms with the things that made him so deadly. 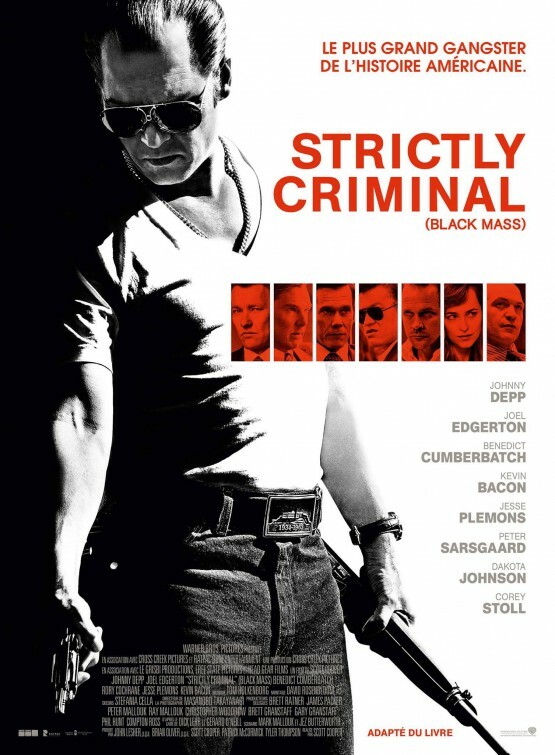 Depp disappears into the role of James “Whitey” Bulger, the Irish-American criminal who parlayed a friendship with FBI Agent John Connolly (Joel Edgerton) into a partnership that would eventually find his Winter Hill Gang running all criminal activity in South Boston. 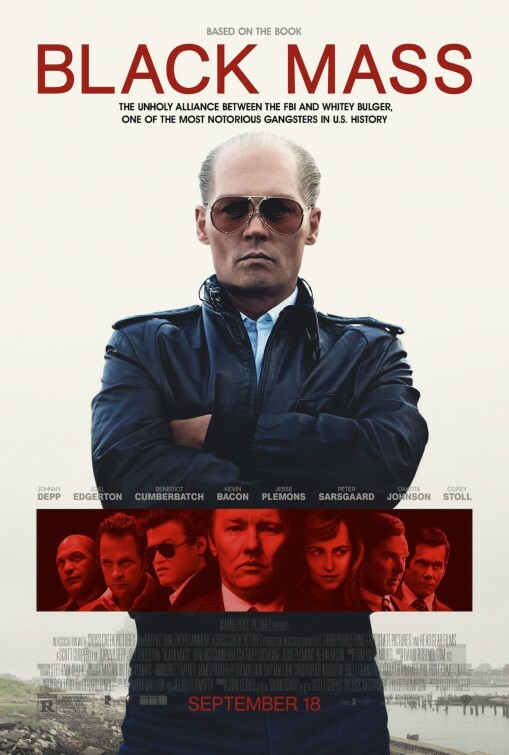 The film utilizes a framing device wherein three of Bulger’s closest associates during his decade-plus reign of terror tell the story of how their boss became an informant for the FBI and in turn became the most untouchable criminal in the city. The narrative is straight-forward and linear, with very little jumping around in time, and a tremendous amount of credit must go to director Scott Cooper and screenwriters Jez Butterworth and Mark Mallouk for keeping the many story threads and dozens of characters well-organized and easy to follow. The film is not without its faults, but for the most part, it’s always riveting and much of that is due to Depp’s brilliant work as Bulger. There’s a lot of ground that’s been covered before thanks to the numerous other films – both documentary and fiction – that have told Bulger’s story, but this is by far the most comprehensive look at his criminal enterprise. It’s nothing short of a miracle that this film explores as much territory as it does in two hours, and part of me feels that the reason the film feels longer than that is the sheer amount of story there is to tell. It manages to be endlessly fascinating however, and more than just the sum of its parts despite the fact that certain scenes ultimately work better than others. It is a long film, but it’s never boring, and perhaps the film’s biggest issue is that there’s no real momentum to it that’s not a natural by-product of the script. Cooper’s almost stubborn refusal to draw comparisons to Scorsese led him to create a film with little to no drive, and it weakens the overall effort. He’s got himself a hell of a cast and a crackerjack script, and he more or less refuses to rise to their level, which is both curious and self-defeating. Cooper’s always been a slow burn kind of director, but this story doesn’t require that approach. I would have liked to have seen him conform to the genre rather than make the genre conform to him, but I have no doubt he’s a talented enough director to successfully make this leap one day. Viewing the finished product, though, it’s no wonder that actors continue to line up to work with him. And have I mentioned that cast? While Depp does a considerable amount of the heavy lifting, there’s nary a bad performance to be found anywhere in the cast. The FBI Agents played by Kevin Bacon, Corey Stoll, David Harbour, and Adam Scott are all terrific, as are the people in Bulger’s inner circle played by Rory Cochrane, Jesse Plemons, and W. Earl Brown. Even tertiary characters, like Peter Sarsgaard as a low life criminal thrust into Bulger’s company, do excellent work in only one or two scenes. The biggest letdown is the dearth of female characters, with only three getting more than one line of dialogue, but thankfully all three ladies are terrific. Dakota Johnson does her best work to date as Bulger’s first wife and Juno Temple is also fantastic, though she really only starts to register as she’s on her way out of the film. Julianne Nicholson gets the gold star, however, as Connolly’s wife, and the scene she shares with Depp is the highlight of the film for both actors. 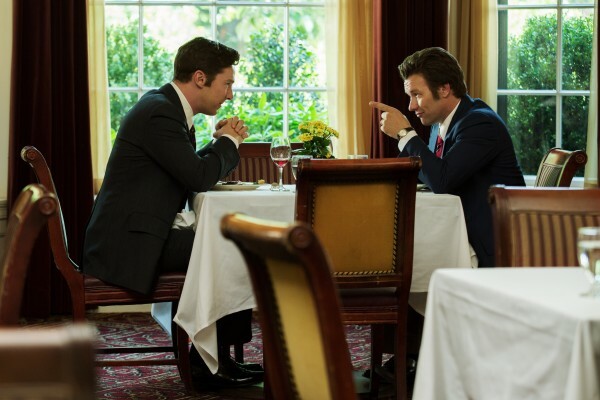 The weakest links in the cast, only by default of the roles they’re playing, are Joel Edgerton and Benedict Cumberbatch. Cumberbatch is hamstrung by his dodgy accent, but otherwise plays the part admirably. Edgerton on the other hand does a decent enough job with the Boston accent, but seems to know he’s not the most interesting actor on-screen at any given moment. This ultimately ends up deflating his work in the film, and I can’t help but wonder what it is that directors continue to see in him. He’s squandered his potential in so many different kinds of films at this point, it might be time to just write him off wholesale. 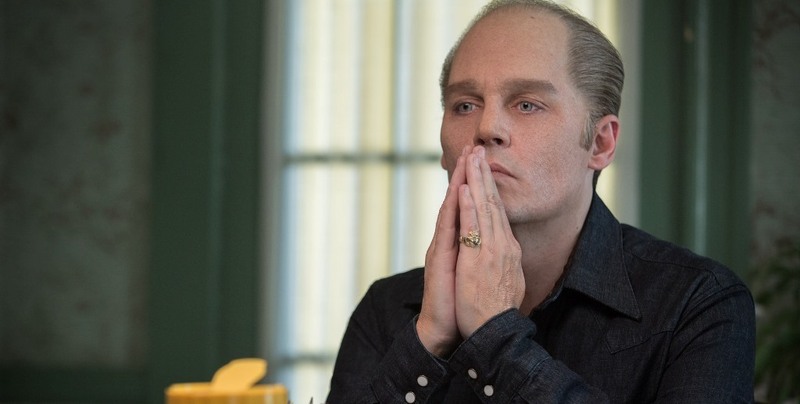 “Black Mass” is a film of epic proportions that succeeds best in its smallest moments. A scene where a character curls up with a paperback copy of “The Exorcist” just before her life turns into a horror film is but one example of how well the film constructs individual moments that you’ll be eager to revisit. At the end of the day, though, the film lives or dies on Depp’s performance, and he’s not only completely aware of this fact, he essentially throws the film up onto his shoulders and carries it off into the night. It reminds us of why we all fell in love with Depp as an actor in the first place and I can only hope that we don’t have to go another decade before seeing him in top form again. First of all thanks for such great movie review!!! But personally I did not like this movie at all, I watched it on TwoMovies site. Acting was poor but effects are ok. I’m not a big fan of Johnny Depp… lol maybe this is the main reason of my opinion?